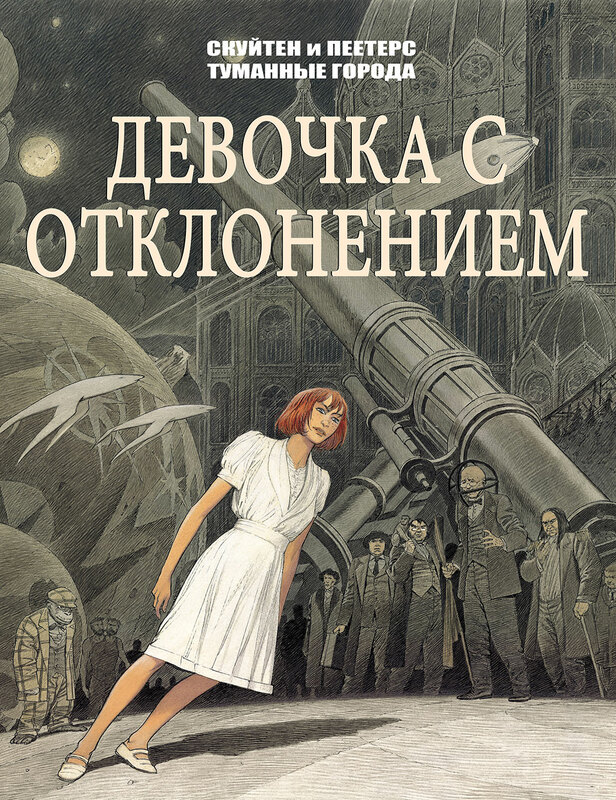 Тайные города is the Russian translation of the Obscure Cities series by François Schuiten and Benoît Peeters. 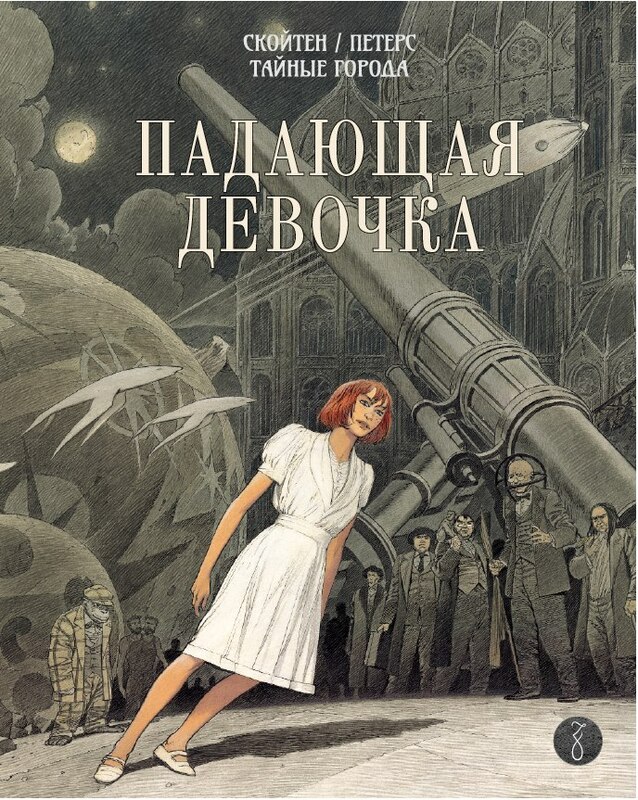 In May 2017 Zangavar announced that it will publish L'Enfant Penchée as Падающая девочка. The publication is announced for September 2017 1). François Schuiten and Benoît Peeters will visit the festival «Бумфест» on September 21, 2017 in Saint Petersburg, where the new album will be released 2). 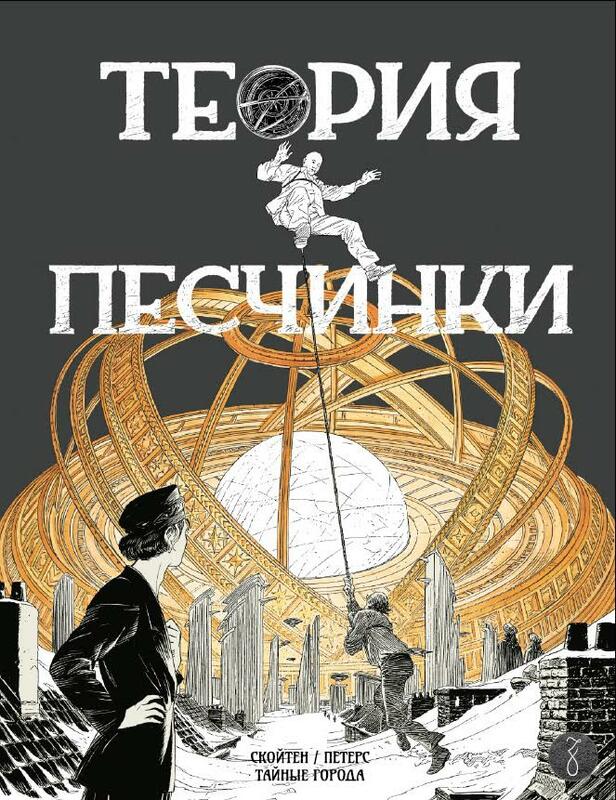 Zangavar also announced that Теория песчинки, a Russian translation of La Théorie du Grain de Sable, will be the next publication in October 2018 3). The publications of Zangavar were not the first Russian translations. In 2014 Mitya Suchin translated L'Enfant Penchée as Девочка с отклонением. This translation was published online by altaplana.be. He used Туманные города as the translation of the Obscure Cities. Making a Russian translation is very hard, according to Mikhail Khachaturov who translated L'Enfant Penchée for Zangavar. “The world created by the authors is carefully thought out, there are no trifles in it - everything is in its place, everything matters.” And the translation to a different script made it even more difficult 4). Падающая девочка is the first Russian translation by Zangavar. The second translation is Теория песчинки that was published in October 2018. Thanks to Mitya Suchin a Russian version of L'Enfant Penchée has been published as a community effort on altaplana.be . Девочка с отклонением (the Leaning Girl) was published in several episodes from August 2014 until Christmas 2014. Some example pages of the translation of Девочка с отклонением.